Sometimes, when I want to get lost in thought or just think about everything that has happened to me I go up on the rooftops and think. It’s quieter there and you get a new perspective on the entire world. Although I can’t see stars anymore there is a dizzying array of neon lights and panoramic views of everything below. It tells me that we are all part of something bigger and something greater and we should strive to be noble and be our best regardless of the situation we find ourselves in. From the rooftops of Insilico. Poses by Vista Animations. Yes I’m thinking about you baby 🙂 The top is a new release from Chantkare and I really like it. The pants were also from Chantkare. 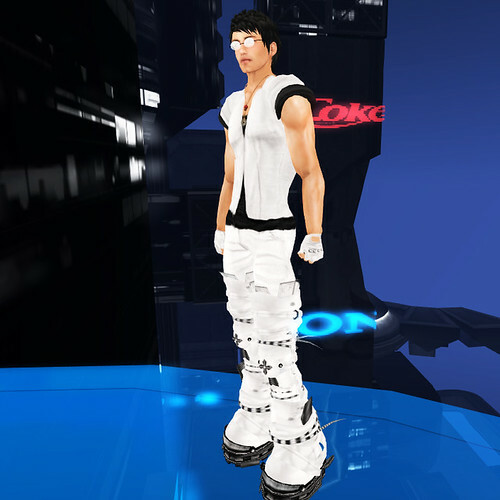 I really didn’t know what to put with them until I remembered the boots from AVZ. 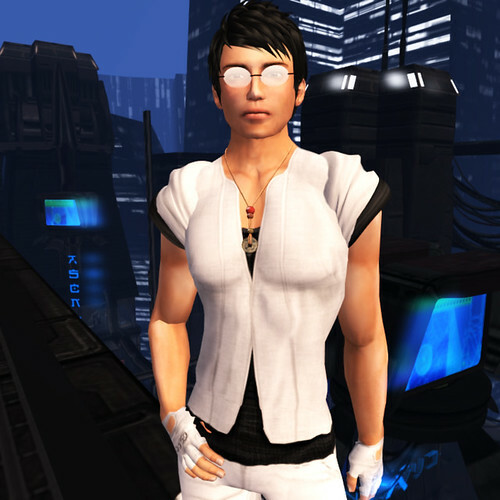 I already had the black pair but though it would be an excellent excuse to get the white pair and after the outfit came together I realized it had been a long time since I had visited at Insilico and thought to myself amongst the rooftops so I headed right over.